Every Sunday, Making A Mark features one of the insanely talented artistic folk currently living up large, giving them a little brag spot here on IADW. 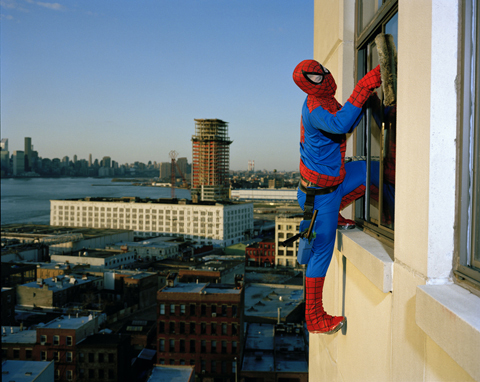 This week it's Dulce Pinzón, and her photographic series The Real Stories Of Super-Heroes! 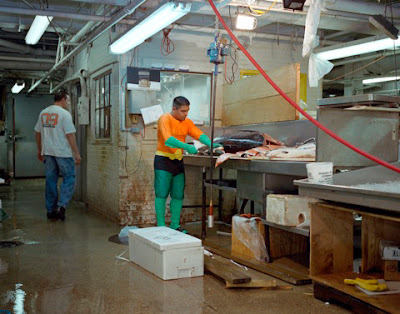 Inspired by the real life heroes of September 11th, Pinzón wanted to capture another breed of living super-heroes; Mexican immigrant workers in New York. Men and women that sacrifice their own life and labour, to work extraordinary hours in extreme conditions for very low wages. They then save that money at great cost and sacrifice, sending it to families and communities in Mexico who rely on them to survive. BERNABE MENDEZ from the State of Guerrero works as a professional window cleaner. He sends $500 a month. To honour these people, she created a series of photos which showcase them dressed in the costumes of popular American and Mexican superheroes, in their natural work environment. The results, as you can see, are as powerful as they are bold. JUVENTINO ROSAS from the State of Mexico works in a fish market. He sends $400 a week. 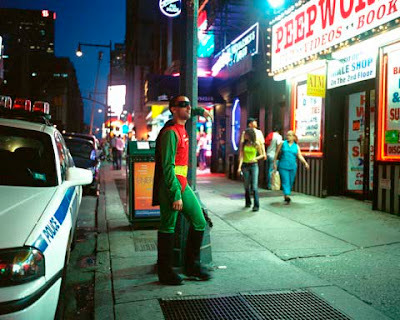 ERNESTO MENDEZ from Mexico City works as a gigolo in Times Square. He sends $200 a week. To see more of this amazing photographic essay, including The Thing, Catwoman, Hulk and Green Lantern, visit Dulce Pinzón's website. and who says photography is not an art form? i am curious what a Mexican "gigolo" hanging out at Times Square does exactly. on second thoughts ignorance is bliss. unique and cool stuff as always Dan but don't expect too many words of praise in the comments section for this post from anyone living in Arizona or from members of the Tea Party who may follow your blog. Not me I love photography. Infact I carry an old disposable camera in the car just incase I'm ever somewhere something cool is and don't have the digital on me. Thanks for the comments and glad you liked Dulce's work!